In an age where the majority of us get our news through social media, the rise of fake news sites, hoaxes and misinformation online is concerning, especially considering that many young people lack the skills necessary to judge the credibility of information they encounter online. A recent Stanford study that looked at how teens evaluate online information found that most students have difficulty distinguishing between real and fake news. Of the 7,804 middle-schoolers who were surveyed, 82% were unable to tell an ad marked as “sponsored content” apart from a real news story, and many said they judged the credibility of news based on how much detail was given or whether a large photo had been included, rather than on the source. Clearly, many of us need a better understanding of how to evaluate the information we come across online, and the first step is realising just how easily fake news and misinformation can spread. Over the past couple of years, we’ve had fake news stories on every topic imaginable, from Pope Francis endorsing Donald Trump to reports that the iPhone can be charged in the microwave. But why do fake news stories and unverified rumours take hold so quickly? One study led by researchers from the University of Warwick found that tweets reporting unverified rumours tend to be more widely spread, and while true rumours tend to be resolved within about two hours, the average false rumour takes more than 14 hours to be resolved. Michael Lynch, professor of philosophy at the University of Connecticut and author of The Internet of Us, has said that “the Internet is both the world’s best fact-checker and the world’s best bias confirmer,” and it’s true—it all depends on how it’s used. With this in mind, we’ve put together some tips on how to read critically, check facts, and gain a more balanced perspective by gathering information from a variety of sources. When conducting any research online, your first step should be determining the credibility of the sources you intend to use, so here are a few tips for checking whether or not the information you come across online is trustworthy. If a specific study or statistic has been cited, use the information provided to track down and read the original research. If no specific source has been cited, do some legwork and try to find out where the information originated. If all you can find are more articles vaguely referring to the same study or statistic, chances are it’s not factual. The web address alone can tell you a lot about a website’s credibility. Domains like .com, .org or .net can be purchased by anyone, so any information found on these sites will need to be checked for bias. On the other hand, .edu is only used by colleges or universities and .gov indicates a federal government website, so these sites can generally be viewed as more reliable sources of information. Another important thing to look for in sources is objectivity. If an author or organisation is known to represent a particular point of view, the facts and arguments presented may have been cherry picked to support that viewpoint rather than to educate or inform. If you’re not sure whether a source could be considered objective, check the domain name as well as the “About Us” page to find out whether the person or organisation advocates for a particular cause or accepts sponsorship. Other signs of bias include extreme language, arguments that appeal to emotions rather than logic, presenting a limited point of view, oversimplifying things, or omitting facts. Another way to determine the credibility of an article is to check the writer’s authority. First of all, check if the writer has been identified along with contact information such as an email address or at the very least, a link to his or her social media profiles. If so, what are the writer’s credentials and experience, and is he or she qualified to offer an opinion or write on the topic in question? Is the writer affiliated to a credible news organisation or academic institution? Are there any references to the writer elsewhere online? Reliable publications will usually include quotes from a few different experts in a field, not only to provide readers with insider information but also to ensure that a more balanced point of view is presented. If a story doesn’t contain any quotes from experts, professors, or academics—especially if it’s an article discussing a controversial issue—you should be sceptical of the information presented. If expert quotes have been included, check the expert’s credentials and look up any studies that are mentioned. You can also verify whether the quotes are real by looking for the original interview or transcript, or in the case of an exclusive interview, checking whether other stories online reference those same quotes and cite the original interview. Sometimes, information that’s a few years old is simply outdated because new facts have come to light, so even if something comes from a credible author or organisation, check whether it’s really the most recent information available on the subject. Obviously, websites that haven’t been updated in years are not your best bet for finding credible and up-to-date material. Similarly, if an article has been written quite recently, but is citing studies from over ten years ago, even though newer research is available, you should question its credibility. For many students, the Internet has become a kind of one-stop-shop for information, but while it can certainly be a good place to begin your research, it’s best not to rely entirely on the Internet. Collecting information from a variety of sources will help you to present a more balanced and accurate point of view, but where can you get your information from if not online? Here are a couple of ideas. Believe it or not, starting your research at the library can actually be more effective than using the Internet, because a lot of the basic information you need has already been organised for you in books and encyclopaedias. 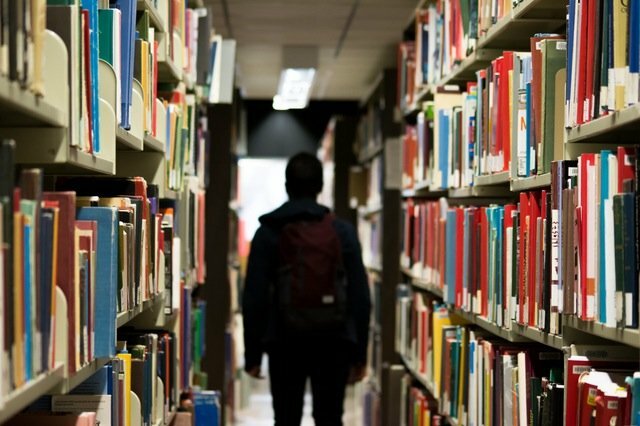 If you’re not sure how to get started using the library resources, a librarian can help you with everything from using the library cataloguing system to finding sources to avoiding plagiarism, and may even be able to give you some pointers on using the Internet more effectively in your research. No matter what your research topic may be, you can be sure there are experts out there with a wealth of knowledge that isn’t accessible online. For instance, if you’re writing about animal behaviours, head to the zoo and set up interviews with some of the keepers. If you’re researching the relationship between fast food and obesity, get out there and talk to people in your community as well as fast food restaurant owners and nutritionists in order to get a well-rounded perspective. Of course, even when conducting primary research you still need to check for accuracy and objectivity, so keep the above tips in mind when choosing your interviewees and be sure to confirm and verify any names, statistics, assertions, facts, or numbers. Thank you for the article, it will help with getting my students to be more aware of their sources. May I share this article with my teaching staff?